Over 8,000 employees working in research and development. Developed clinical research in over 55 countries. R & D centres in 6 countries, including 1 in Spain. Production plants in 13 countries. Medications sold in 120 countries. Pharmaceutical companies require moisture control for a multitude of processes, such as raw material handling and drying, product coating, encapsulation, wrapping, packaging and filling and low temperature storage. Most of this is performed in clean rooms where air quality and conditions are critical to the success of the processes. 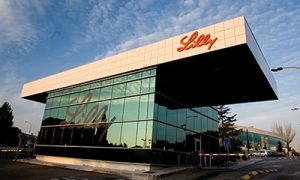 In several of these processes, FISAIR has collaborated with Eli Lilly to supply HEF type and DIPHUSAIR air humidifiers and DF type air dehumidifiers.